PHARMA TRACE® is a complete solution for the management of drugs, meeting the specific demands for the traceability of high-cost and high-impact preparations. 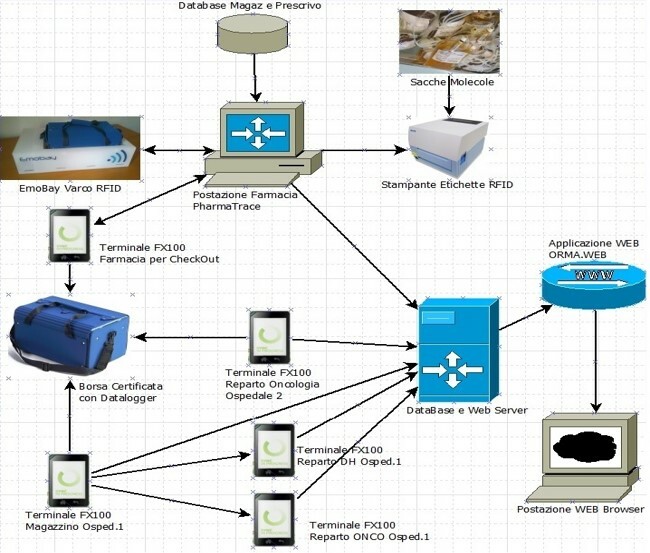 Thanks to Pharma Trace it is possible to track pharmaceutical preparations from distribution to the delivery to the patient. With Parma Trace it is possible to manage the registration of the ID codes and the typology of preparations, and to measure the temperature during transport. Pharma Trace is designed for hospital pharmacies and for internal or external units delivering the required therapies. Set different alarm/signals, including: medication not administered, failed delivery of therapies, administration not authorised etc. Pharma Trace makes it possible to keep under control all the phases of the preparation and delivery of the pharmaceuticals, improving the safety and general efficiency of the whole process.